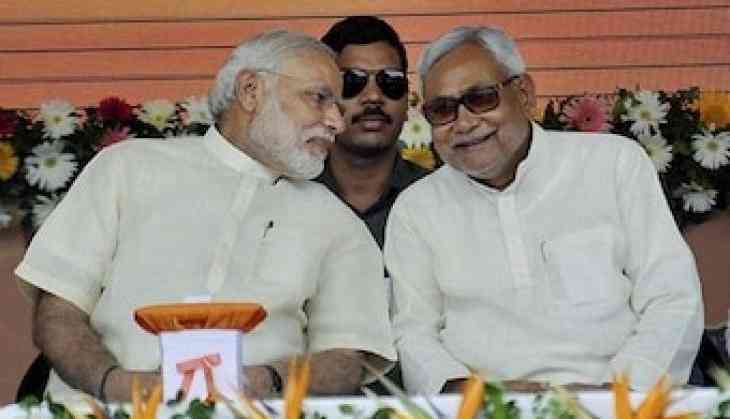 Prime Minister Narendra Modi is all set to kick start Bihar election campaign, along with ally Janta Dal (Untied) chief and state Chief Minister Nitish Kumar from the historical Gandhi Maidan in Patna. On PM Modi’s ‘Sankalp rally’ day in Patna, ‘no’ National Democratic Alliance (NDA) leader turned up at Patna airport to receive martyred CRPF inspector Pintu Kumar Singh, who was killed in an anti-terrorist operation in Jammu and Kashmir's Kupwara on Friday, says report. According to reports, all NDA senior leaders were occupied with the massive "Sankalp" rally being held in Bihar's capital, where Prime Minister Narendra Modi is scheduled to address a rally. "It's very unfortunate that Chief Minister Nitish Kumar did not bother to come to pay his last respect," said Sanjay Singh, uncle of the CRPF inspector who was from Dhanchakki village in Begusarai, 130 km from Patna. Top officers of the Central Reserve Police Force, state Congress chief Madan Mohan Jha, District magistrate Kumar Ravi, senior police officer Garima Mallick, and Lok Janshakti Party parliamentarian Choudhary Mahboob Ali Kaiser were among were the other to receive soldier’s mortal remains at the airport. "I am not here for politics. I came to pay my respect," said Madan Mohan Jha at Jai Prakash Narayan Airport in Patna.